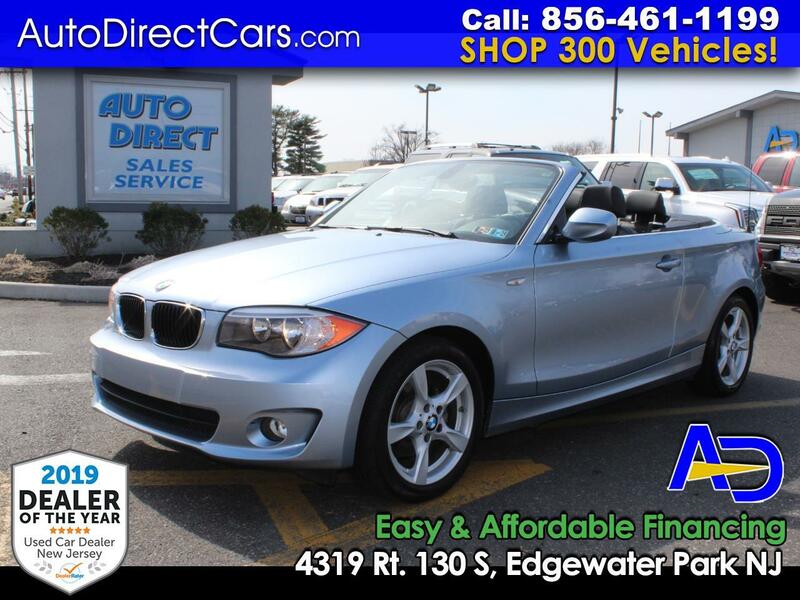 ****EXTREMELY RARE FIND SAVE OVER 50% OFF MSRP STICKER ONLY 16,711 CERTIFIED ORIGINAL MILES 1 OF A KIND PRISTINE 2012 BMW 128i V6 Maual 6 SPEED 2-DR CONVERTIBLE. CAR FAX CERTIFIED 1 OWNER. THIS VEHICLE IS IN IMMACULATE CONDITION INSIDE AND OUT, RUNS AND DRIVES PERFECT. BLUE WATER METALLIC EXTERIOR WITH BLACK LEATHERETTE INTERIOR. LOADED WITH ALL FACTORY OPTIONS FEATURING IPOD/USB ADAPTER, HEATED WINDSHIELD, CD, LEATHER, POWER LOCKS, POWER WINDOWS, ALLOYS AND MORE. PRE-QUALIFIED EASY AND AFFORDABLE FINANCING AVAILABLE. TRADE INS WELCOME. STOP BY & VISIT OUR HUGE INDOOR SHOWROOM.